“If you are the Son of God…” (Matthew 4:3). Satan came to tempt Jesus and question his sonship. There is no sin in being tempted, for the perfect Jesus was “one who in every respect has been tempted as we are, yet without sin.” (Heb. 4:15). Temptation does not necessitate sinning; Jesus was tempted, “yet without sin.” Not even the worst forms of it involve sin. 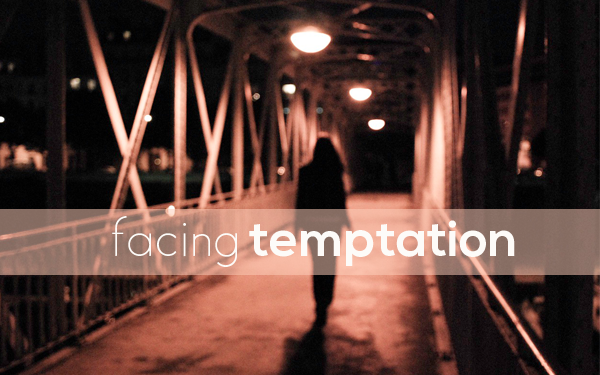 Jesus endured the subtlest of temptations from the evil one himself. Solitude will not prevent temptation. It may even aid it as Jesus was tempted while alone in the wilderness. Also, fasting and prayer will not always keep off the tempter for these had been fully and perfectly observed by Christ. Satan began the whole series of his temptations by casting a doubt upon Jesus’ sonship. Has the enemy tried this with you? Has he tried to cast doubt on your salvation or your status as son or daughter of God? God had but one Son without sin, but he has none without temptation. Satan does not come with point-blank denial for that would be too startling; doubt and deception serve Satan’s purposes better than heresy. He opens with an “If” making the doubt look like holy anxiety concerning divine sonship. Yet, Jesus’ sonship is made clear in scripture (Ps. 2:7) and the Father had just pronounced him as his beloved Son (Mt. 3:17). Satan tries to make us doubt what God has told us is true. Jesus faced these subtle yet massive temptations right after a major monument in his life, his own baptism where all of the Trinity was present. If Jesus’ perfect character was doubted, how well may Satan question us whose faults are so many? Listen to how Satan can further support his temptation with Jesus’ circumstances, “You are alone. Would a Father desert his child? You are in a desert. Is this the place for God’s Son? You are with the wild beasts. Wretched company for the Son of God! You are hungry. How can a loving Father let his perfect Son hunger?” Put all these together, and the tempter’s question comes home with awful force to one who is hungry and alone. Satan attacks our Father’s honor and tempts us to doubt God’s providence and call on our life. He attacks our comfort and strength as members of the heavenly family. If robbed of our sonship, we would be naked, poor, miserable orphans with no home. How could we pray, “Our Father” (Matthew 6:9). How can we say with patience, “Father, thy will be done,” (Luke 22:4) if we are not his sons? Doubt of sonship leaves us naked to the enemy. Jesus trusts the Father and overcomes the temptation. He does not give in, and he never gave in or gave up on his way to Calvary to pay for our sins and the times when we give in. When tempted, we must trust the Father’s words and promises as Jesus did when he was tempted. Satan only questions truth for he is the father of lies (John 8:44). Therefore let us stand strong in the truth that we are sons and daughters of God not because of our work, but because of Jesus’ finished work on the cross. Satan does not come with point-blank denial for that would be too startling; doubt serves Satan’s purposes better than heresy. After temptation passes, it is usually the prelude to angels coming and ministering to us as in Christ’s case (Mark 4:39). No calm is so deep as that which follows a great storm. When we see others thus tried, do we think them brothers? Do we not question their sonship as Job’s friends questioned him? What wonder it would be if we instead encouraged one another with truth and gospel! What force there is often in a single “If,” with which this artful address begins! It was employed by Satan for the purpose of insinuating into the Savior’s mind a doubt of his being in reality the special object of his Father’s care, and it was pronounced by him, as we may well suppose, with a cunning and malignant emphasis. How different is the use which Jesus makes of this word “If” in those lessons of divine instruction and heavenly consolation, which he so frequently delivered to his disciples when he was on earth! He always employed it to inspire confidence, never to excite distrust. Take a single instance of this: “If God so clothe the grass of the field, which today is, and tomorrow is cast into the oven, shall he not much more clothe you, O ye of little faith?” What a contrast between this divine remonstrance and the malicious insinuation of the great enemy of God and man! —Daniel Bagot. God had but one Son without sin, but he has none without temptation. Such is Satan’s enmity to the Father that the nearer and dearer any child is to him, the more Satan will trouble and vex him with temptations. None so well-beloved as Christ, none so much tempted as he. —Thomas Brooks. Satan does not come to Christ with, “You are not the Son of God,” or “That voice which gave you that testimony was a lie or a delusion.” No, he proceeds by questioning, which seems to grant that Jesus was the Son of God, that he might possibly beget a doubt in Jesus’ mind. —Richard Gilpin.